Formula One remains an option for Audi, the German carmaker's chief executive Rupert Stadler was quoted as saying on Monday amid speculation about a partnership with former world champions Red Bull. He told Britain's Auto Express magazine website that "in life you must keep things open. "We're already well stuffed with successful motorsport projects. But with F1, wait and see. It's an option for Audi. Not at this moment, perhaps. But it is still an option." There has long been speculation about whether Audi might be tempted into Formula One, but it has grown louder now that Ferdinand Piech has quit as chairman of parent company Volkswagen. Piech was seen as being strongly against Formula One. Audi last year recruited former Ferrari F1 team principal Stefano Domenicali but not for an obvious motorsport role. They also made clear that the focus remained on Le Mans and the German Touring Car series. However, the return of Audi stablemate Porsche to Le Mans as a works team, and Red Bull's fraught relationship with engine partner Renault, has also left people wondering whether a repositioning of brands might be in the offing. That talk was given further impetus on Monday when Red Bull motorsport consultant Helmut Marko, who is close to company owner Dietrich Mateschitz, sent what sounded like an open invitation to Audi. 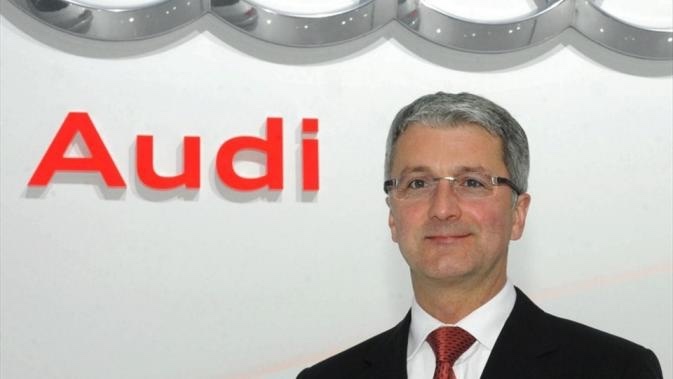 "If we don't have a competitive engine in the near future, then either Audi is coming or we are out," the Austrian told the BBC. "The VW Group first has to sort out...who will run the brand of VW, and when they have sorted all these things maybe then they can think about what they are doing in motorsport," he added. Red Bull have a contractual agreement to stay in Formula One until 2020, while their Renault contract runs until at least the end of 2016. The team, who won four successive titles with Renault from 2010 to 2013, have been vocal in their criticism of the manufacturer's V6 turbo hybrid engine, which has proved uncompetitive with Mercedes and Ferrari. Team principal Christian Horner labelled the season a write-off after Sunday's Spanish Grand Prix, only the fifth of 19 races scheduled. However, he stopped short of saying Red Bull could quit: "We want to try and sort the issues out," he said when asked directly whether leaving the sport was a possibility. "The determination is to get back." I know Stigman has strong feelings about RBR, I'm interested in your take on this. My thoughts are . I think Audi rings would look awesome on those cars. Especially on the aero. Audi gives Red Bull wings!